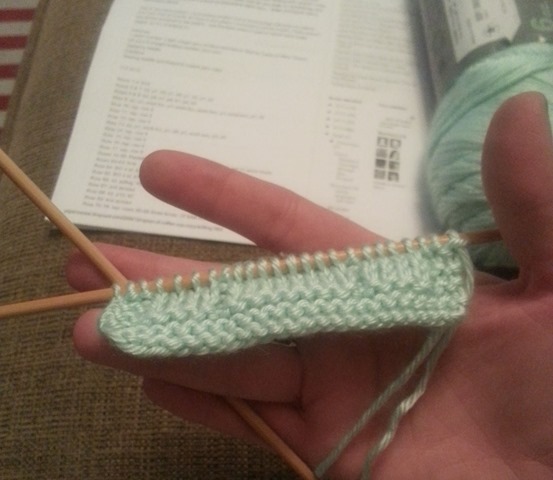 I’m a compulsive knitter. All you need to mention that your uterus might be occupied and I will start a blanket. I can’t help it. I’m going to be “That” aunt. You know the one… she knits you sweaters for every Christmas and you live in Florida. Yup. That’s me. 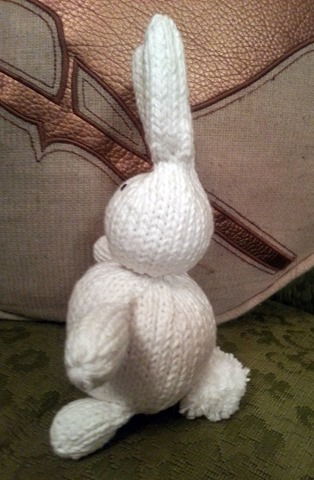 So my Package Pal was not going to get off the hook that easily… knitted gifts were on the agenda. 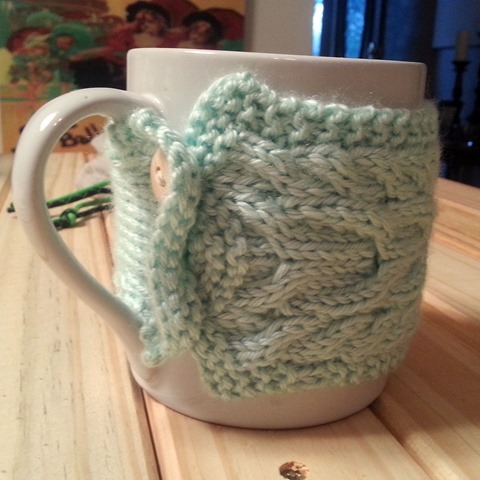 First up, the coffee cozy. to this! When the pattern emerges… well, giddy doesn’t cover it. 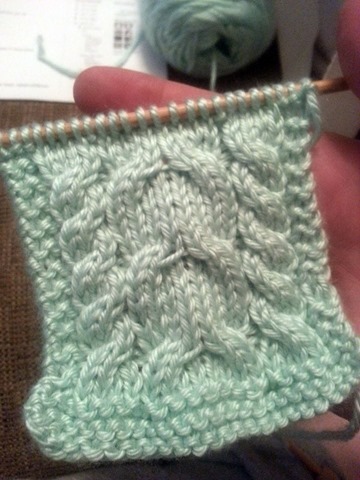 Cables are extra satisfying too because they look complicated but are actually pretty simple. The hardest part of this project? Button selection. 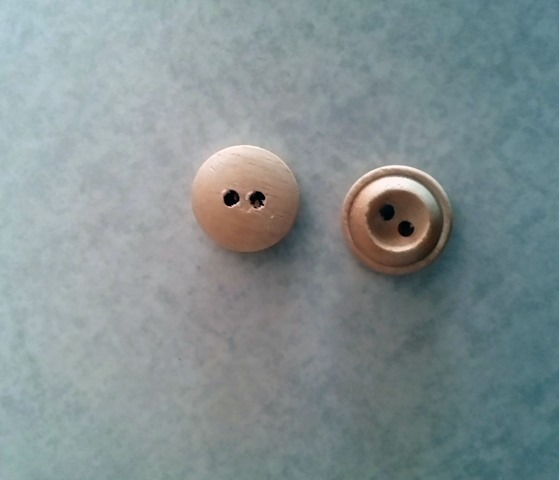 Not only which buttons but then whether to sew them on “face up” or “face down” (that is, if buttons have faces). and viola! I whipped up this bad boy in a couple hours. Talk about instant gratification. 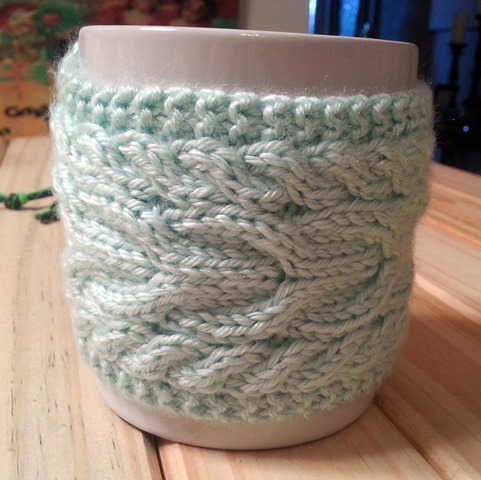 I particularly love this pattern because it’s adjustable to fit various mug sizes. Bonus! Next up, the cutest little bunny that I ever did see. 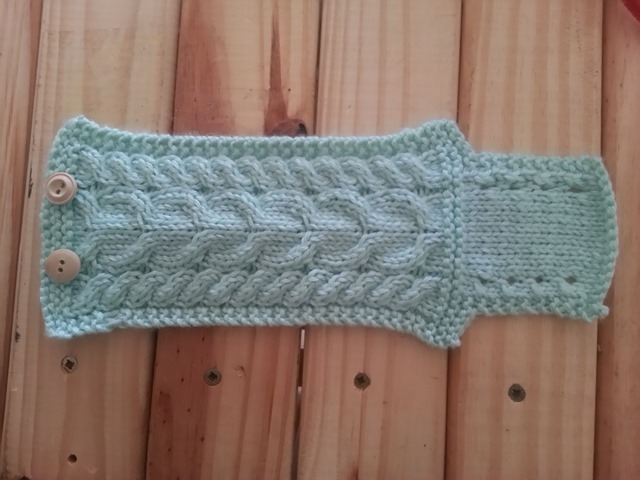 This whole pattern was knit in the round with double pointed needles. 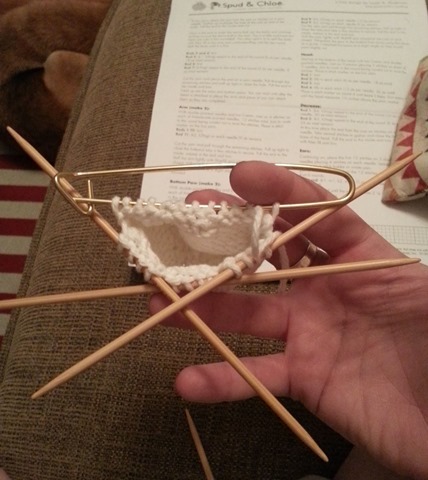 Sorta makes you feel like you’re knitting with a sea urchin. Maybe I should have been a drummer… I think I could so some serious damage with drum sticks after the choreography with 4 needles that is small knits on DPNs. The icing on this little bunny cake has got to be his pom pom tail. I’m a fan, fo sho. 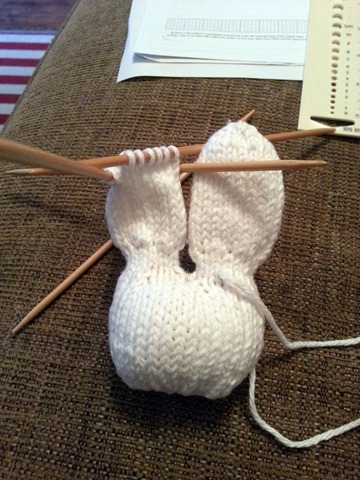 Stitch on a little innocent rabbit face and you’re dunzo. 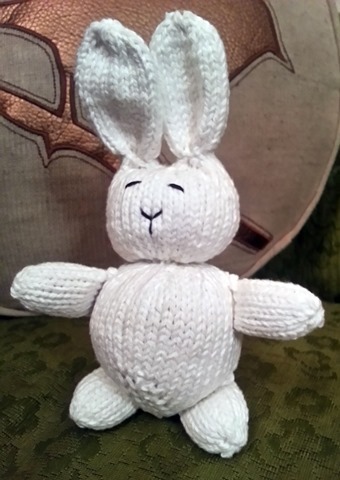 Get the Spud & Chloe Rabbit pattern HERE.